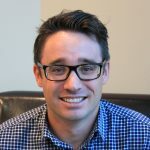 Stephen is a graduate of the University of Calgary with a Commerce Degree in Finance is an associate member of the Alberta Land Surveyors Association and completed the Survey Law program at BCIT. He has been involved in all aspects of the business from designing a digital library to sort 3 decades of project data, to working as a survey assistant, party chief, CAD operator and project manager. Steve has lead several initiatives to modernize and streamline many processes in the company since joining in 1993. Stephen has been an integral part of many projects from large shallow gas leasing programs, Inter-modal rail facilities, large commercial construction projects, and cadastral GIS systems for tax reform internationally. With Steve’s direction, Tronnes Surveys moved into High Definition Surveying in 2004. Working with Leica HDS (High Definition Survey) from Denver, Colorado, he helped develop a technique for reducing survey time on longer, linear projects such as road and rail surveys. This enabled Tronnes Surveys to deliver HDS results cost effectively to clients. Mr. Tronnes regularly attends Leica’s High Definition Survey conference held every year to meet and discuss new technologies and strategies in Laser Scanning and was a co-presenter at the 2014 conference in Las Vegas. Aziz graduated from the University of Nairobi, Kenya with a Bachelor of Science degree and has over thirty years’ experience as a supervisor and manager of field surveyors and office administration. 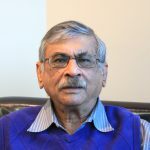 With his extensive experience working in the City of Calgary on major development projects, the City of Calgary invited Mr. Dharamshi to sit on a panel to discuss improving the turnaround processing of a Condominium Application. Mr. Dharamshi has developed an excellent knowledge base on Condominium Law as it applies to surveying and has assisted clients in determining the best possible strategy for the development of a Condominium. Kent is a graduate from Saskatchewan Institute of Applied Science and Technology in Geomatics Engineering Technology. He has over 17 years of experience in the geomatics sector with experience ranging from Legal surveys, construction layout to 3D laser scanning. Kent has managed several large infrastructure, commercial and residential construction projects on both the field and office side. His experience allows the integration of 3D laser scanning into various stages of construction and planning. 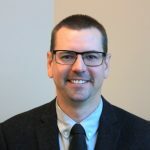 Nathan has over 14 years of experience in the geomatics sector and is currently registered as an Alberta Land Surveyor, Saskatchewan Land Surveyor and a Professional Surveyor (Sask). His highly technical background has led to project experience in residential, commercial and industrial field survey, project management, 3D laser scanning, GPS surveys and engineering construction. His projects have ranged from oilfield surveys in northern Alberta to municipal survey in Lloydminster, Calgary and Vancouver. Nathan’s diverse range of experience has allowed him to develop his problem solving skills with customers in creating solutions to their specific needs. 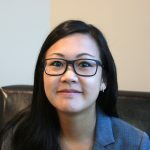 Geneva is a graduate of the University of Victoria and gained a bachelor’s degree from the Geography program with a concentration in Geomatics and Urban Planning. She participated in the University’s Co-operative Education program, spending all three terms with Tronnes, starting in the field and quickly transitioning into the office. Her background in GIS, remote sensing, field surveying, gaming engines, 3D modelling, and cartography set the baseline for working with Laser Scanning in the surveying industry in new and exciting ways. 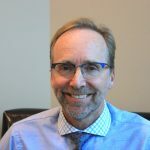 Samson is a graduate of the drafting program at the Southern Alberta Institute of Technology (SAIT) and brings over 28 years of Surveying, Architectural and Structural drafting experience. As the Senior CAD Operator and Drafting Manger, Samson’s expertise is in drafting and design for bare land condominiums, subdivisions, topographic surveys, among various other oilfield and municipal related surveys. 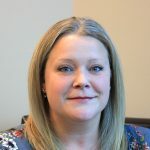 With a background in accounting and as a Para-legal, Kim delivers a range of services involving assistant support and coordination of planning and development applications. Being well versed in preparation of documents and agreements, collaboration with clients, consultants and municipalities, She has great working relationships with the municipalities administration staff and understanding of the planning system and process. Kim’s managerial experience ensures our busy day to day operations run efficiently and smoothly. Kevin has been associated with the Tronnes group for over 25 years. Initially he was the year end accountant preparing financial statements and corporate tax returns for the group. For the last 6 years he has been the controller for Tronnes. 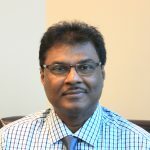 He has several certificates from SAIT, in Accounting and Business Management. His extensive tax and accounting knowledge are a great asset to his position as controller. 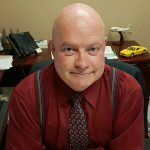 In his younger days, Kevin obtained his commercial pilot’s license for both fixed wing and rotary wing aircraft.